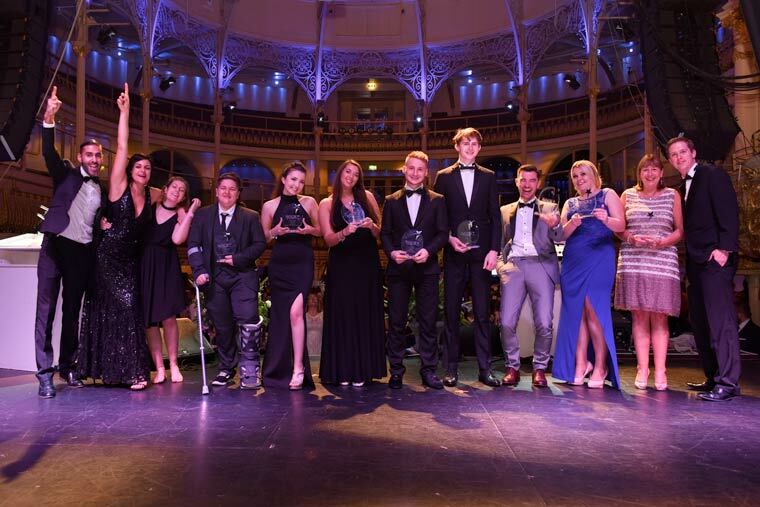 The Rock Star Awards have announced this year's winners and raised over £7,000 for the Bournemouth Hospital Charity whilst bringing talented youths under the age of 26 to the attention of local employers. Over 250 people gathered at an awards ceremony at the Bournemouth O2 Academy to celebrate incredible young people from across Dorset and Hampshire whilst raising money for the local community. Awards were presented across nine categories in between a three-course dinner and entertainment. Prior to the announcements, past winner Nathaniel Hawley gave an impassioned speech about his struggles and achievements despite adversity. Aiding a charitable cause, Dr Helen Partridge then introduced guests to the Bournemouth Hospital Charity BERTIE platform, which supports young people and adults with Type 1 diabetes. Headed by Maria Seabright and three volunteers, a charity team selling raffle tickets and a prize auction helped to raise £7,339 for the project on the night. Entertainment throughout the night included performances from the Love Soul Choir and Jade & Logan, a singer and guitarist duet from the Bourne Academy, plus talented 15-year-old solo singer Ellie Allen. DJ Munza from Global Media and Entertainment was also present for the after party.